I initially wanted the Champagne Pop-Flowerchild variant, but it got sold out so quickly and Champagne Pop-Hyacinth was the only shade available for the Champagne Splits line. 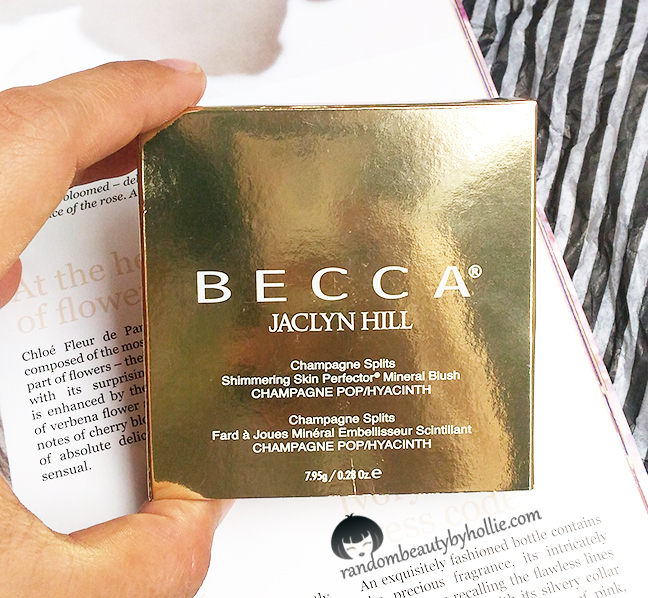 And I was like, "oh well, at least I finally got to try the very hyped up Becca Champagne Pop". The packaging was just elegantly beautiful! 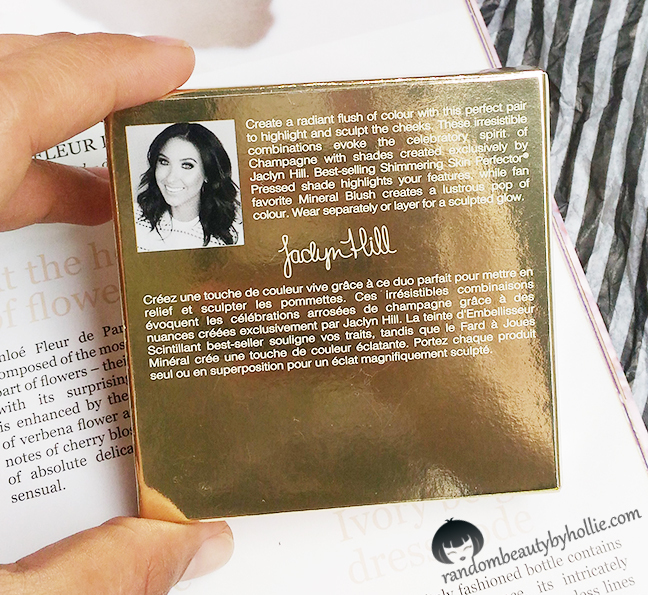 This is how the front of the gold box looked like and below is the back portion, where Jaclyn Hill has her signature and photo. 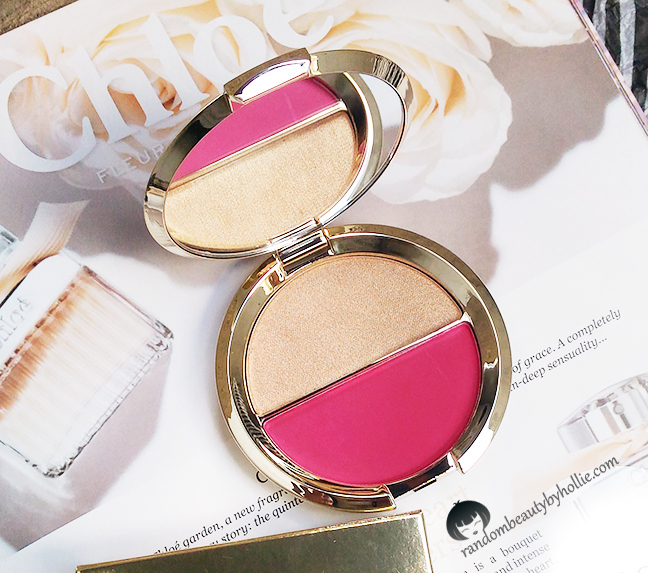 Create your perfect cheeks with this delicate powder blush in a range of colors from soft and subtle to bold and poppy. An effortlessly buildable formula features micro-fine minerals and antioxidant vitamins to achieve a naturally flushed look for all skin types. 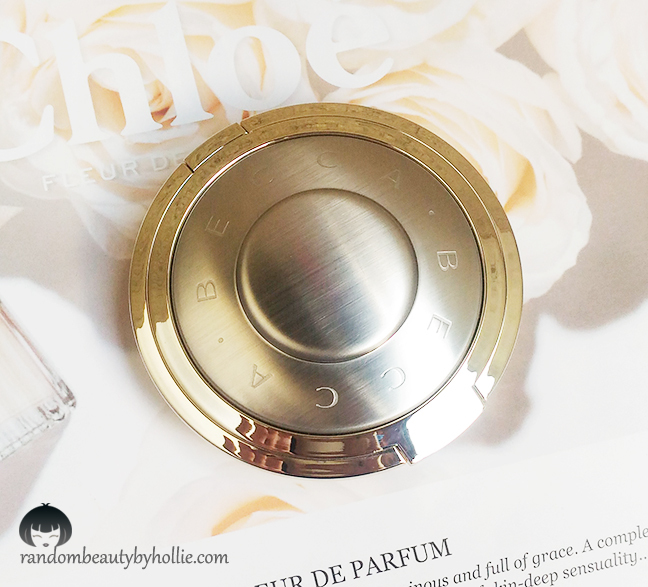 Just look at that luxurious and very expensive looking compact! It's beautiful! 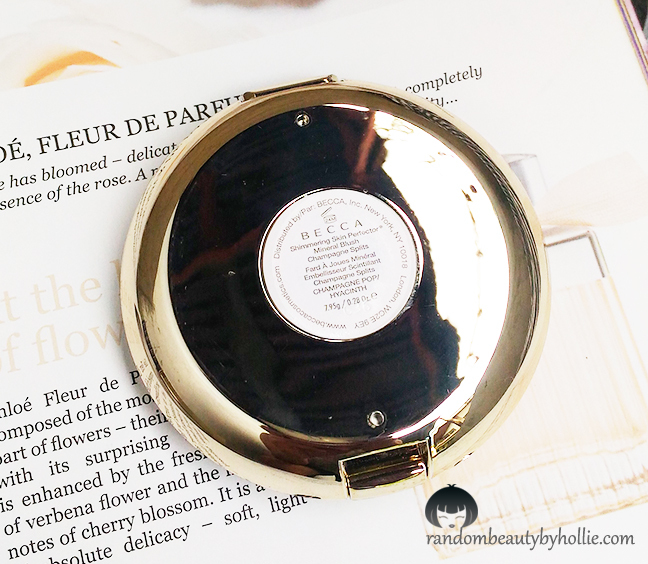 I now truly understand, what the hype is about the Becca Champagne Pop. The color is none like other highlighters in the market. 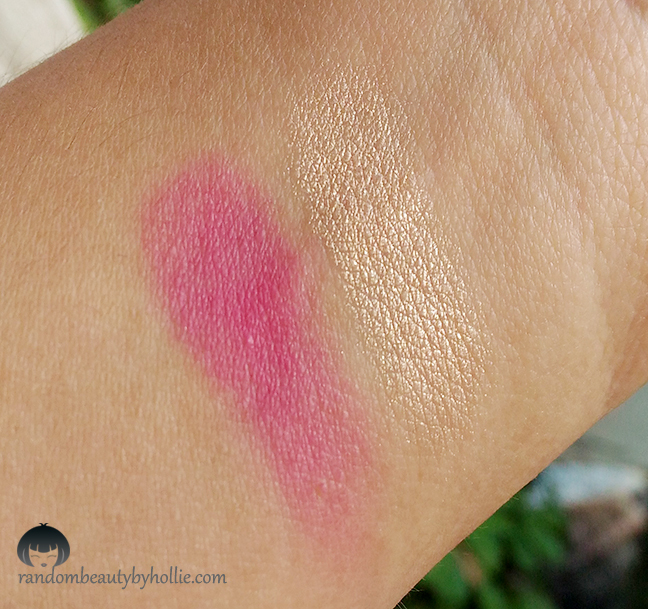 It is a universal shade that can look great on a wide variety of skin tones. So, yes I would definitely recommend this especially if you're looking for a flattering high-end brand highlight with an extra mineral blush to boot. LOVE THIS HIGHLIGHTER, CANT AFFORD LANG HAHHAHAHHA GREAT REVIEW!!! @Christian, Thank you. hahaha I feel you, I really had to save for this product alone since it's too expensive. Nice review Hol! Galifornia reminds me of Bella Bamba. Meron puba nito sa www.goods.ph and manila beauty? I've been looking for it in local stores for almost a month then wala pa talaga akong makita.